Ok, I really am going this time! Day is paid for, hotel booked. Anyone else on here going as well? The weather looks perfect, fun fast track. Hope to meet some new faces! Was supposed to go to help out but work injury and staples in the head has ended my track season early have a blast though! Ouch!! Heal up soon buddy, thanks! I'll be there. Black F-150, green canopy, black and green ZX-10R, running in the B group. Come say hi. Sounds good, riding down with a buddy in a blue F250... I think. I have a red cbr600, he has a black 600 ninja. We'll look for ya, same group! Should be fun! Looks to be perfect weather. Ill be stuck at work. Have fun! Funny! My buddy went on there last night and sent me this... 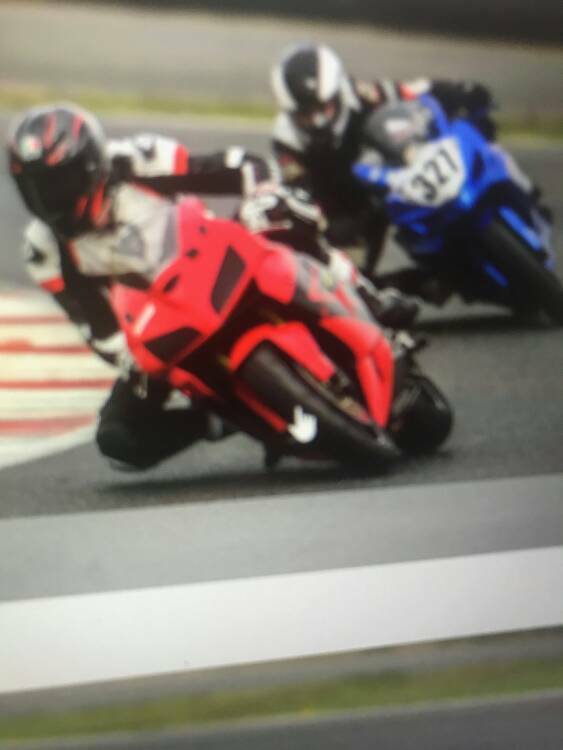 I'm on the red CBR.